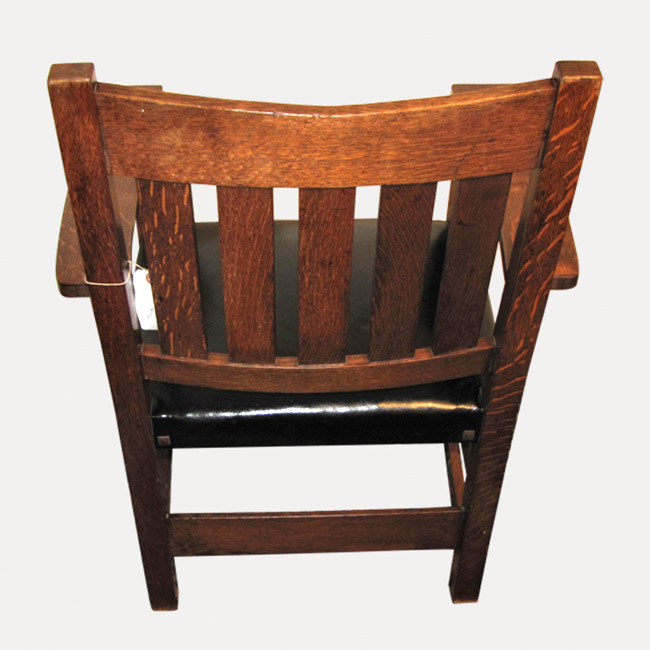 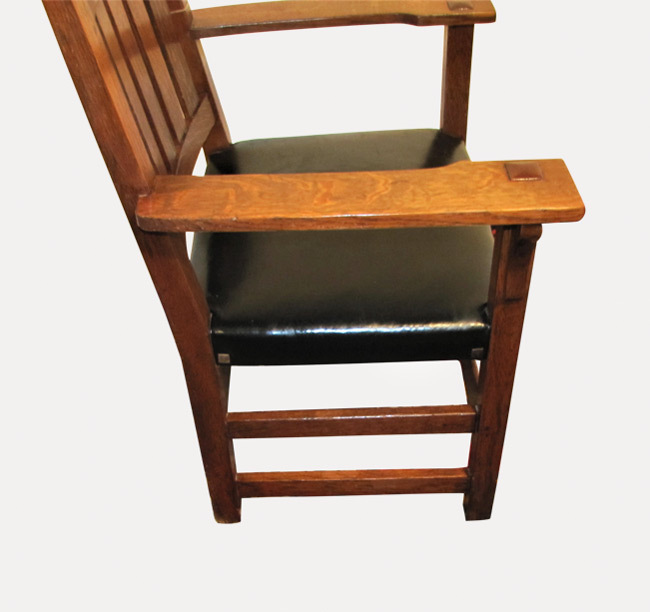 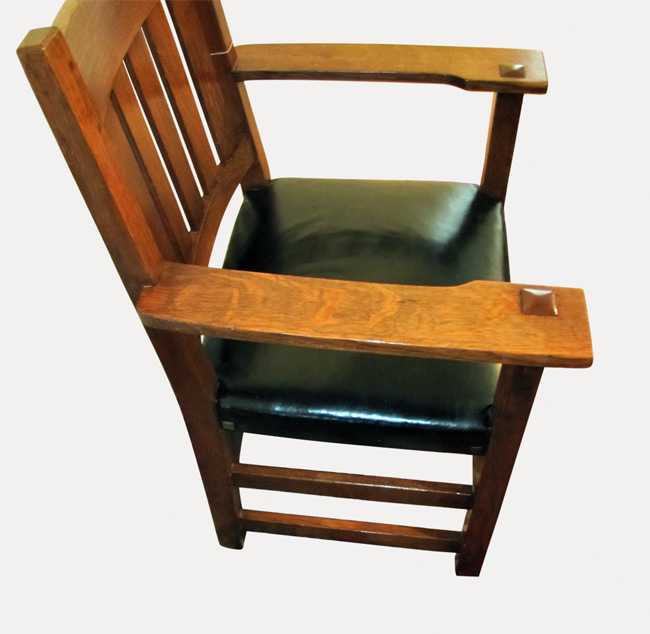 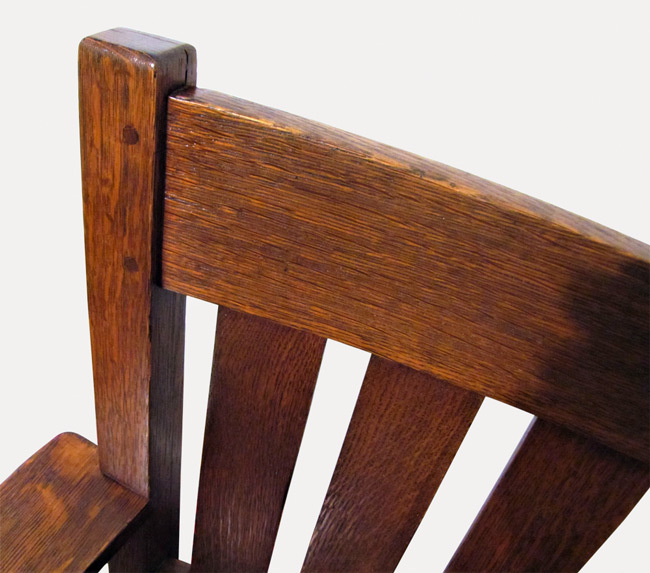 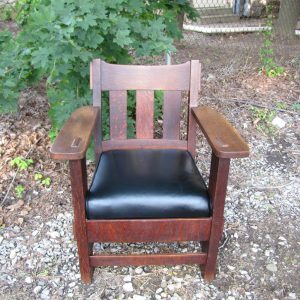 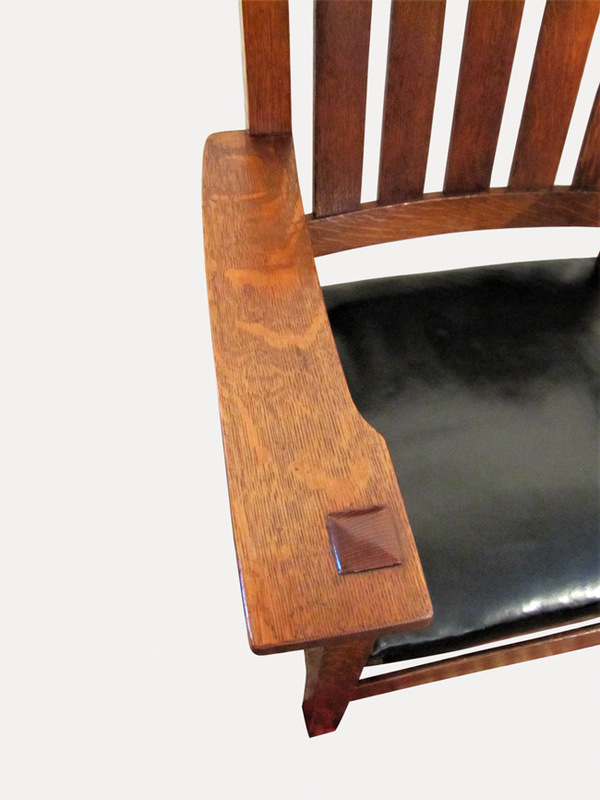 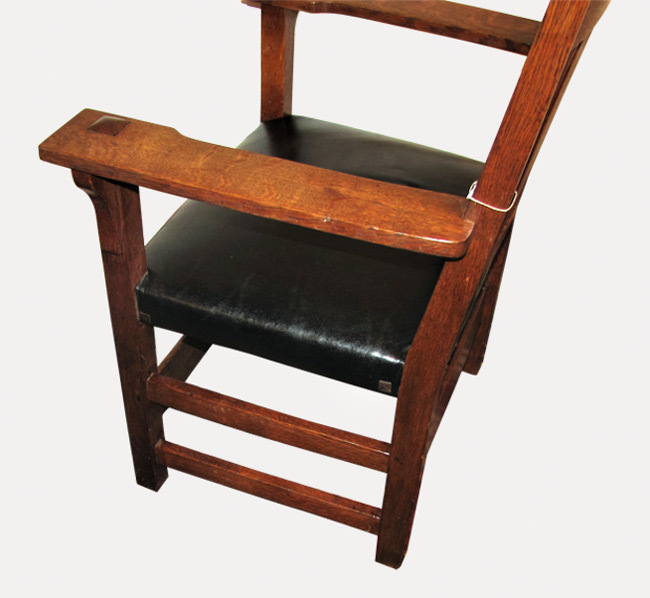 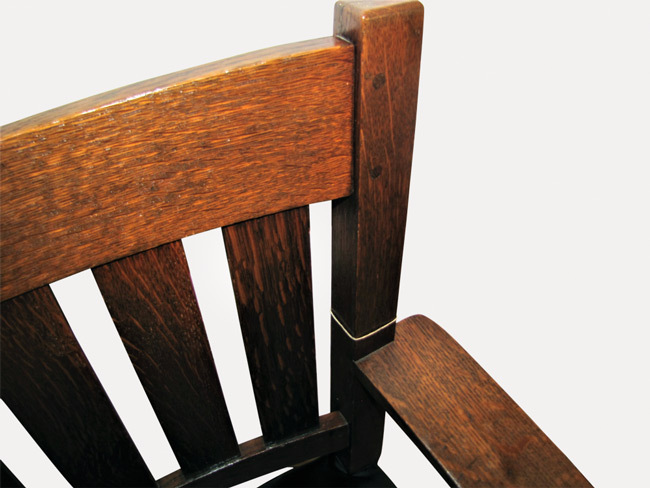 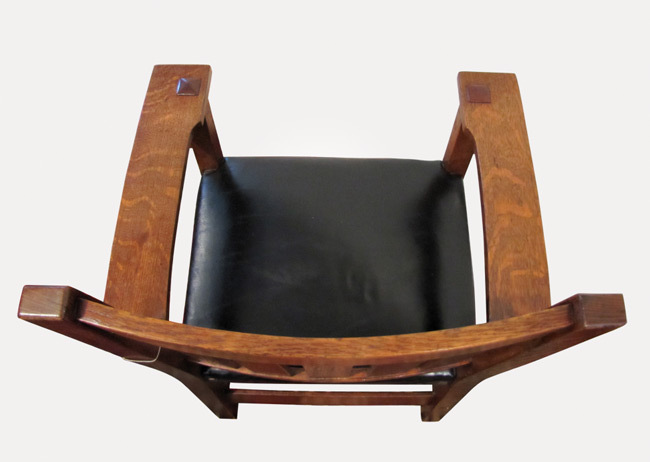 This is an Antique Gustav Stickley V Back Arm Chair from 1910-1915. 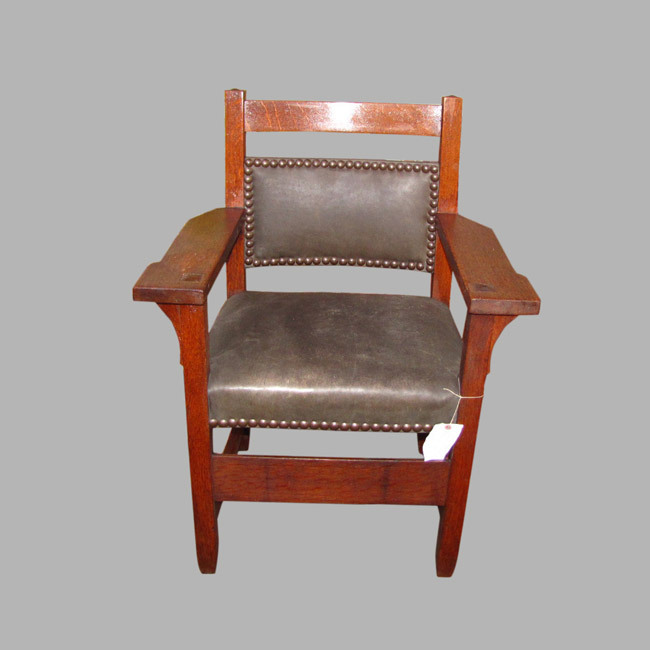 This chair is in very good condition and it has a good original finish. 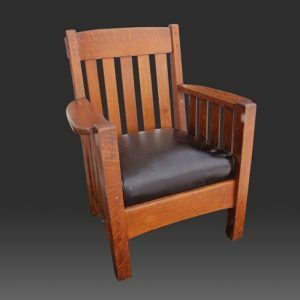 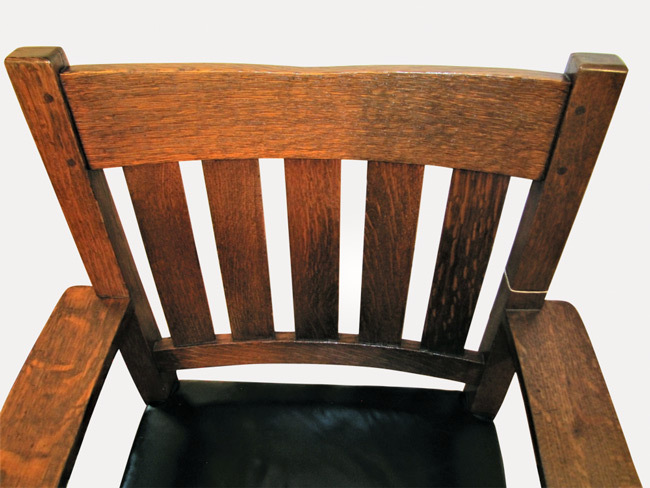 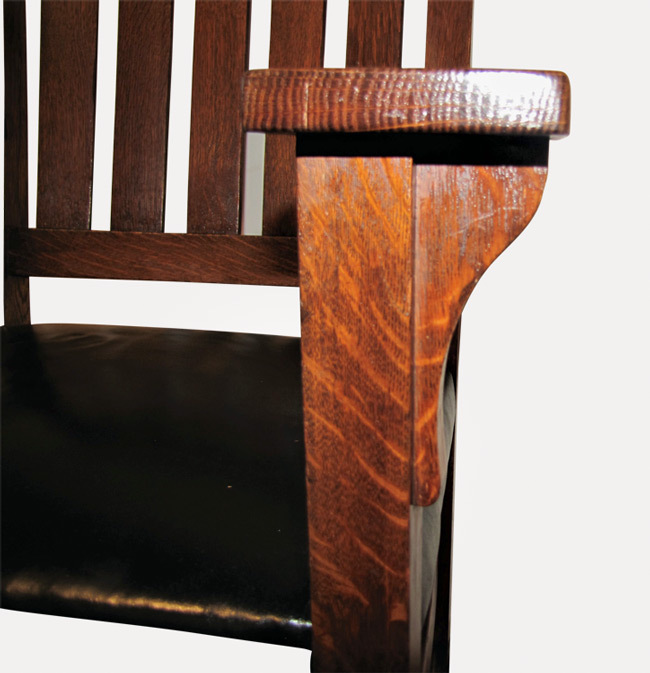 The chair was made with a great selection of oak. 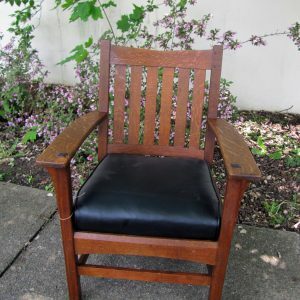 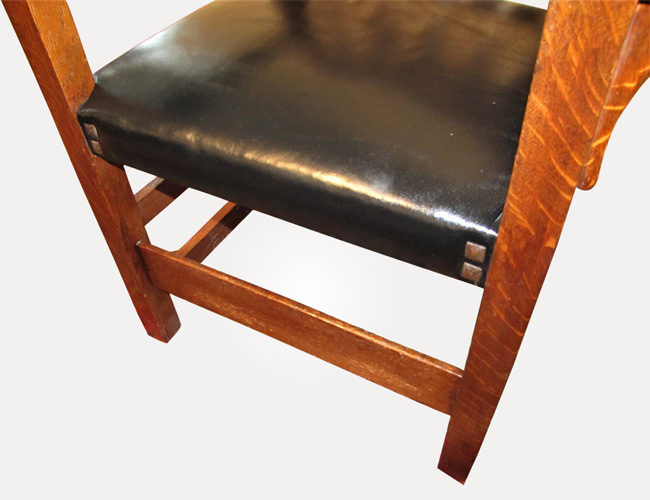 The seat was recovered with a top quality black hand-rubbed leather filled with cotton and hair (NOT cheap Foam) over a cotton webbing. 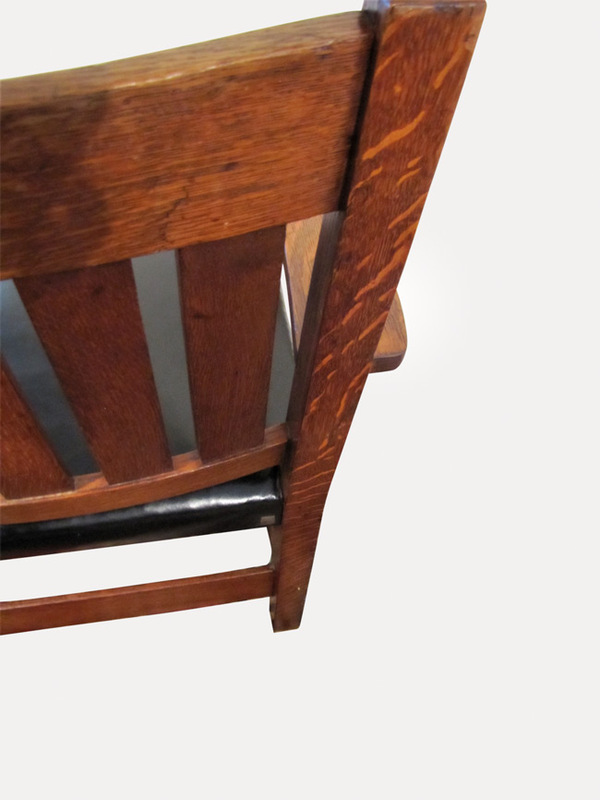 The original Gustav Stickley tacks are present. 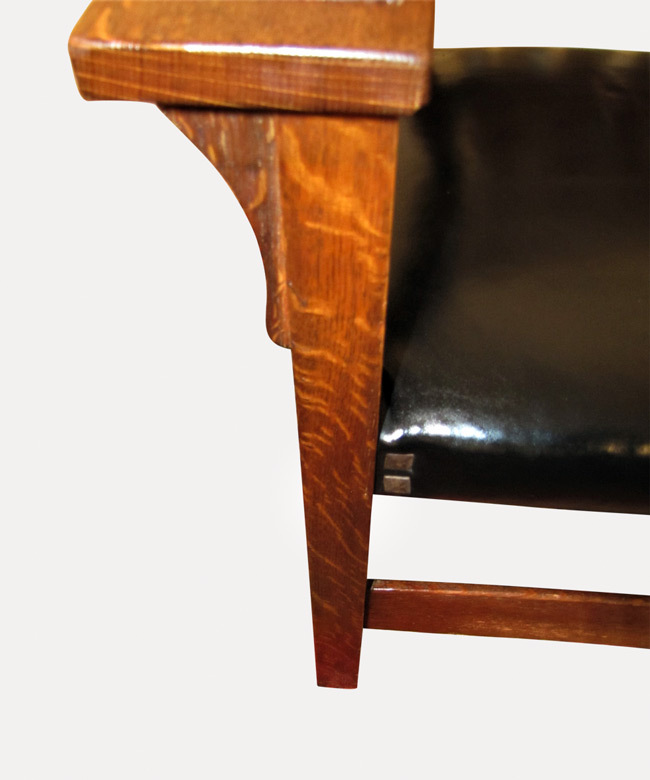 There are corbels under the arms and they are pinned. 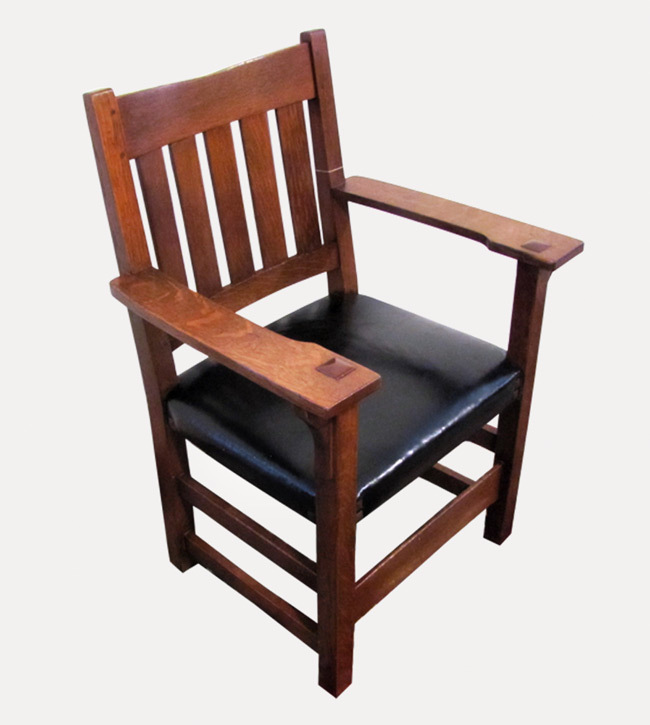 We do have several chairs listed and if you need more than one we can combine shipping to save you money.